Your ideal world, what would it look like? The Experimental City (2017) and Gaming the Real World (2016), both playing at the tenth edition of the Architecture Film Festival Rotterdam, give you an idea of what it could look like and how it can be realised. Two different places, two different times, two different minds with one and the same goal: building happiness (the festival’s theme this year). The Experimental City is about an intelligent and interesting figure with a great idea who was far ahead of his time: Scientist Athelstan Spilhaus. His ultimate dream: To build a city that would solve all problems big cities were dealing with. The design for this city was already made, in the form of a weekly newspaper comic. It only had to be built. Visually The Experimental City matches the title and its experimental subject. Interviews with friends and colleagues of Spilhaus alternate with split screens, archive material, re-enactments and images of Spilhaus’ comics. Chad Freidrichs’ film follows the journey Spilhaus and his team made from the 1960’s onward. The journey is divided into chapters, which cover every step they made. From the hopeful start to the sad, bitter end. Gaming the Real World is also a journey, one that even goes around the world. The question that director Anders Eklund tries to answer along the way is: “How can games change the real world?”, specifically to be used as a tool for city planning. The journey starts in Stockholm, at Mojang, the game studio of the popular game Minecraft. Employees of Mojang developed Block by Block, a program based on Minecraft that was aimed to activate youth to think about their environment and to inspire them to change it. Live action images are combined with game images, of course. Scientist Spilhaus saw the world changing, but not in a good way. With the increasing population in big cities, problems like air pollution, climate change, waste collection, rising energy use, less mobility, and bad communication came along. In his weekly science fiction comic Our New Age, he expressed his worries about the planet, but also came up with solutions. 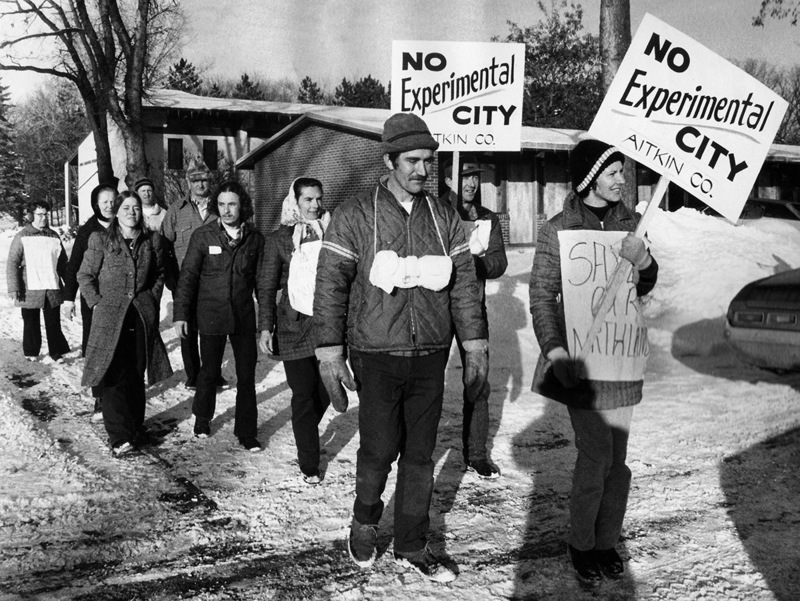 These solutions would all be present in the experimental city he planned to build in the rural side of Minnesota. In this living lab, you would come across self-driving cars, recycling, re-use, solar power, and a huge geodesic dome to ward off weather and climate. In short, technology was the answer to everything. His comics would become real. To remind you: we are talking about the 1960’s here. All that Spilhaus needed was funding and people that believed in his dream. He found both, so what went wrong? Science fiction was turning into science, his dream into reality. Year after year, his team of optimistic professionals were making progress. They even got financial support from the government. However, not everybody was happy with the idea of this experiment. Although the intentions were good, the inhabitants of the rural area where the city was going to be built didn´t like the idea of seeing their quiet place turn into a high-tech paradise for 250.000 people. They started protesting and on top of that, the project lost the state support. Spilhaus and his team had their last meeting in 1973. They decided to cease the realisation of their utopia. The Experimental City leaves you with the question: “What if the experimental city had been realised?” Would we have been less worried about climate change nowadays? We will never know. What we do know is that people never stopped thinking about how we can improve our environment and living circumstances. In Gaming the Real World, technology, again, is the answer for the problems big cities are still dealing with nowadays, even on a larger scale than 50 years ago. The Block by Block project of Mojang is a story with a more positive ending, compared to that of Spilhaus. 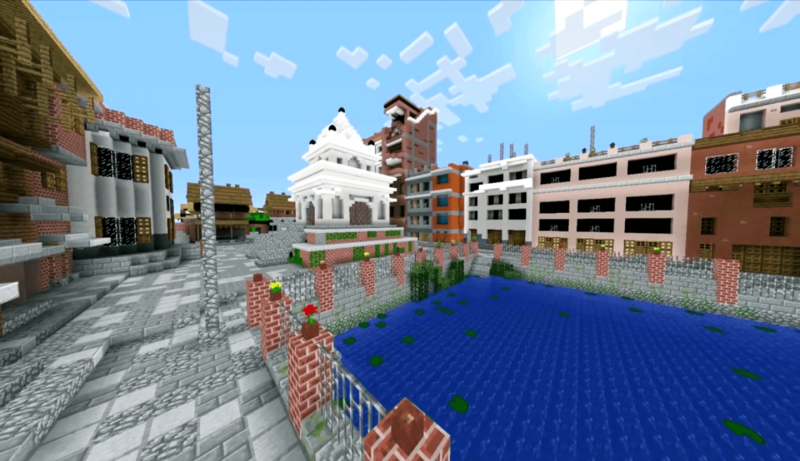 Minecraft was tested as a tool for city planning and appeared to be successful. Adolescents were really enthusiastic about the idea and were willing to form a community. After the test, the project was introduced in countries all over the world, such as Nepal and Nairobi. What makes Minecraft so successful, besides that it is a fun game to play? The game makes architectural ideas accessible. Minecraft makes complex concepts easy to understand. Moreover, it joins people together and succeeds in making them aware of the problems in their area and activating them to improve their environment. Finally, people participating in the project experience democracy, which is not always a given where they live. However, some game developers are a little worried and warn that the game is just an easy simulation of how a city is built. There is a lot more needed to actually change a place. This thought didn´t stop game developers and architectures from continuing to develop games, that could also work as a tool for city planning, or even to create solutions for problems such as pollution, mobility and the large amount of waste that just lies around in the streets where children play every day. 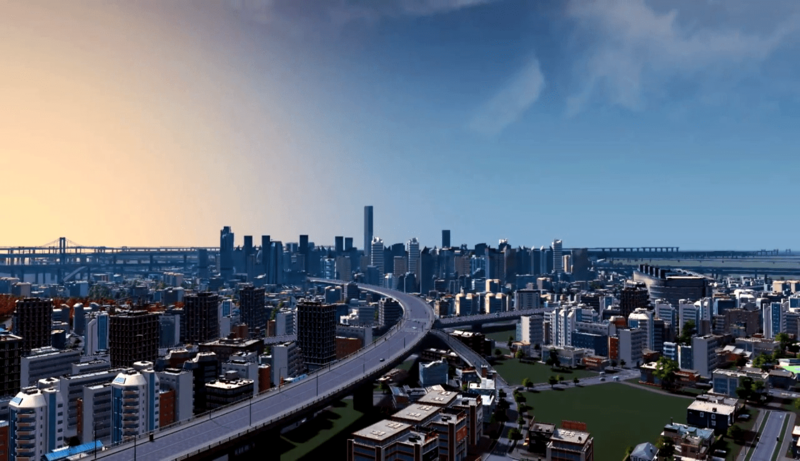 Nowadays, other city building games like Cities: Skylines are tested and used in the architectural and city planning sector. Spilhaus´ idea for the experimental city disappeared. Besides the members of the team, no-one in Minnesota knows about the urban lab he wanted to build. The project might be forgotten, but some parts of his dream became true, like communication via computers and unmanned underground travel. Spilhaus´, however, turned into a sad man. He lost all the optimism and hope he once had. The most important thing is that his spirit lives on: the entrepreneurs in Gaming the Real World are the evidence. Media, whether paper comics or digital games aren´t just entertainment. They make us aware of the environmental problems we are dealing with and activate us to solve them. We can´t do that by ourselves though. We have to unite. Together, we can change the world and create the city of tomorrow, in a democratic process. Only then, it will become a success. Only then, we can build happiness. AFFR 2018: What makes a shelter a home?